PILKINGTON, ROBERT, army officer, military engineer, artist, and landowner; b. 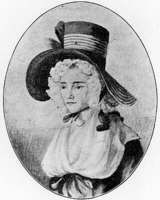 7 Nov. 1765 in Chelsfield (London), England, son of Robert Pilkington and Grace —; m. 15 Oct. 1810 in Devizes, England, Hannah Tylee, daughter of John Tylee, and they had two sons, one of whom died in infancy, and four daughters; d. 6 July 1834 in London. Robert Pilkington attended the Royal Military Academy at Woolwich (London), and was commissioned a second lieutenant in the Royal Artillery on 27 Aug. 1787. He transferred to the Royal Engineers on 5 June 1789 and embarked for Quebec in July 1790. The first references to him at Newark (Niagara-on-the-Lake), Upper Canada, appear in October 1792. On 16 Jan. 1793 he was promoted first lieutenant. Pilkington also served the function of semi-official cartographer. On 20 Sept. 1793 Simcoe forwarded the young engineer’s sketch-map of York harbour to George III, and four days later included him in the group travelling by canoe from Humber Bay on Lake Ontario to Georgian Bay. Pilkington drew maps of the waterways along the route and painted several scenes observed during the trip, most notably on the Severn River. It was a difficult journey, a consideration in Simcoe’s decision to build Yonge Street from York to Lake Simcoe. In March 1794 Pilkington accompanied Simcoe to Detroit and to the Miamis (Maumee) River. He prepared an improved map of the western Lake Erie region and sketched the Miamis River area, where he also remained behind to rebuild Fort Miamis (Maumee, Ohio). This job lasted almost until winter but was considered an essential encouragement to the Indians because the United States claimed the territory. Pilkington was active in the embryonic social life of the young colony and seems, in particular, to have become a friend of Mrs Simcoe. In her diary she mentions riding with him and more than once she admits to copying his sketches. Pilkington was also a friend of John White*, Upper Canada’s first attorney general. They often visited one another and attended social events together. After White’s mortal wounding in his duel with John Small on 3 Jan. 1800, Pilkington broke the news to White’s brother-in-law and patron, Samuel Shepherd, the English jurist. His offer to assume responsibility for White’s two sons was not accepted as they returned to England to be raised by their mother under Shepherd’s general supervision. On 3 June 1797 Pilkington was promoted captain-lieutenant and on 18 April 1801 captain. In the fall of 1802 he returned to England, where he spent the next few years in the Southern District and at the government gunpowder factory at Waltham Abbey. On 24 June 1809 he was promoted lieutenant-colonel and a month later embarked for the only real military action of his career, as part of the notorious Walcheren expedition sent by the moribund Portland administration in a vain attempt to capture Antwerp (Belgium). Pilkington was part of its only small success, the siege and capture of the second-rate fortress town of Flushing (Vlissingen, Netherlands), and later he was praised for his work in commanding a mixed force of artificers, sailors, and civilians which destroyed the naval facilities, arsenal, and sea defences there. After a brief stay at Woolwich in 1810 Pilkington was posted to Weedon to oversee large-scale Board of Ordnance construction. 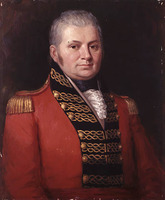 He served as commanding engineer in the Northwestern District between 1815 and 1818 and at Gibraltar from 1818 to 1830. In the mean time he was promoted colonel in the engineers on 1 Dec. 1815 and major-general in the army on 27 May 1825. He became a colonel commandant of the engineers on 28 March 1830 and inspector general of fortifications on 24 Oct. 1832. Despite the fact that he never returned, Pilkington maintained an interest in Upper Canada. He enjoyed entertaining friends from his Upper Canadian years during their infrequent trips to Britain. He watched over his Upper Canadian land and sought ways of attracting settlers. In 1811 he proposed raising a corps of Highland emigrants to be enticed to Upper Canada by the use of land grants. 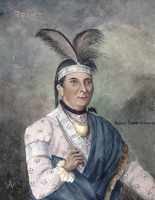 In addition to about 2,000 acres in York, Newark, and Grantham Township, he had managed to acquire 15,000 acres on the Grand River from Joseph Brant [Thayendanegea*]. Ironically, despite the physical facilities he designed, constructed, and maintained throughout the province, which demonstrated the importance of the military engineer in Canada’s colonial history, Pilkington’s largest and most lasting contribution to Upper Canada may well be Pilkington Township, the land he got from the Six Nations. Unfortunately this was not totally a positive legacy. “The Major,” as he was known in the Grand River area, enticed settlers from Northamptonshire and Warwickshire to immigrate to these lands. Problems arose for the gullible pioneers when they arrived after a long and difficult journey to discover that the region was completely undeveloped. Worse still, as the years passed many had disputes over the title to their property. Most died cursing Pilkington for the impossible position in which he had placed them. For all his positive contributions as a military engineer, he will always be remembered by some people for his sins as an absentee landlord with grandiose ideas. PAC, MG 23, HI, 5, vols.1–2; RG 1, E3, 61; E14, 8, 11; L3, 400: P1/1, 35; P2/38, 83; 400A: P4/1; 402: P9/29; 418: P misc., 1775–95/128; 419: P leases, 1798–1818/10; RG 8, I (C ser. ), 102, 106–7, 223, 405, 512, 546–47, 597, 724; RG 10, A1, 2, 789; A2, 9; B3, 4733. Corr. of Lieut. Governor Simcoe (Cruikshank). Gwillim, Diary of Mrs. Simcoe (Robertson; 1911). Alexander Macdonell, “Diary of Gov. Simcoe’s journey from Humber Bay to Matchetache Bay, 1793,” Canadian Institute, Trans. (Toronto), 1 (1889–90): 128–39. DNB. G.B., WO, Army list, 1789–1835. Roll of officers of the Corps of Royal Engineers from 1660 to 1898 . . . , ed. R. F. Edwards (Chatham, Eng., 1898). E. [R.] Arthur, Toronto: no mean city (2nd ed., Toronto, 1974). B. M. Dunham, Grand River (Toronto, 1945). Marcus Van Steen, Governor Simcoe and his lady (Toronto and London, 1968). Carl Christie, “PILKINGTON, ROBERT,” in Dictionary of Canadian Biography, vol. 6, University of Toronto/Université Laval, 2003–, accessed April 24, 2019, http://www.biographi.ca/en/bio/pilkington_robert_6E.html.